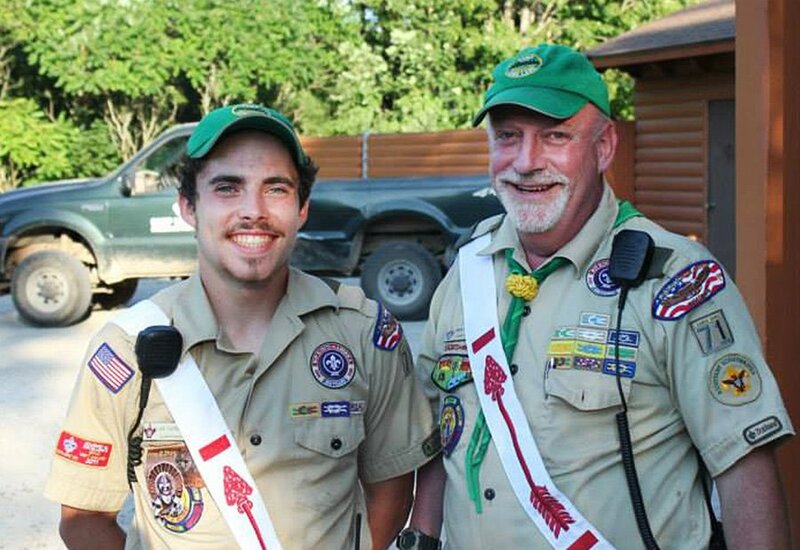 Today, nearly 1.2 million adults provide leadership and mentoring to Cub Scouts, Boy Scouts, and Venturers. Scouting relies on dedicated volunteers to promote its mission of preparing young people to make ethical and moral choices over their lifetime by instilling in them the values of the Scout Oath and Scout Law.Through the dedication of these many volunteers, the Boy Scouts of America remains the foremost youth program of character development and values-based leadership training in America. And, to adults who are not currently Scout volunteers, we invite you to become a volunteer and share in the positive experiences of the Scouting programs. A direct contact Scout leader is considered fully trained and entitled to wear the Trained leader emblem when he or she has completed the following training courses and the specific training for the position. Leader Position Specific Training is based on the leader’s position. These courses are taught by informed trainers who know how to engage groups and make learning fun. These courses are offered by the district or council as group training, or may be done as small groups or by personal coaching.